No, Apple didn't release an iPhone just for China. 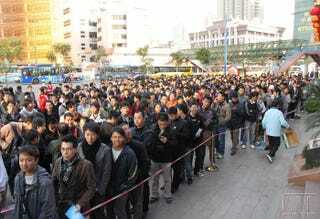 Instead, all these people were waiting in line for the Meizu M9, the Android 2.2-powered successor to the Meizu M8. Pretty impressive turnout for something that once started as a ripjob.